Meet Marc Vooges, Managing Director of Sympany, a textile recycling social enterprise. I met Marc at the ReBlend launch party. Shortly afterwards, I visited him at Sympany’s recycling center and offices in Utrecht, the Netherlands. Here’s what Marc had to say about textile waste, recycling and innovation. My focus for a sustainable future is entirely related to the environmental impact of textiles. Crops like cotton require huge amounts of water and nearly all farmers use large amounts of pesticides. In the production process, more water is used, as well as (dangerous) chemicals to treat and color the fabrics. 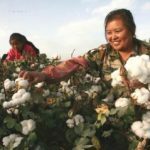 With a growing world population, the negative environmental impact of the textile industry will continue to grow as well. To avoid scarcity of water and textile crops, we simply have to find better ways to take care of these natural resources. 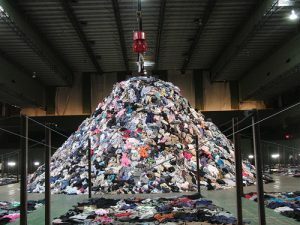 At the same time, a mountain consisting of tons of textiles is thrown away. Many of the clothes in this mountain are still perfectly wearable, but the owner just no longer wants to wear them. The rest, consisting of worn-out clothes and other textiles, can also serve a purpose as raw material for new textiles. In the Netherlands, an estimated 67% of this ends up in incinerators. Unnecessarily, and this is where Sympany comes in. Every year, Sympany collects over 23 million kilograms of textile from consumers in towns and cities across the Netherlands. We find new owners for the clothes that are still wearable and we make sure the non-wearable textiles find new use through recycling. Besides the positive environmental impact, Sympany also has a social impact. In the Netherlands, sorting centers offer employment opportunities for people who are less likely to find a job on the regular labor market. 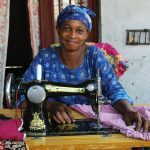 The wearable clothes are sold in Africa and Eastern Europe at low prices, providing jobs in the sales process. And a unique discounting system ensures that also people with very limited funds can buy these clothes. And as a social enterprise, we invest our profit in local charitable projects in Africa and India. Examples of this include education opportunities and providing sewing machines as seed capital for entrepreneurs. Recycling of non-wearable textile waste is not yet profitable. In the past, the percentage of this type of waste was much lower, so in total, we were still generating a nice return for our charitable projects. 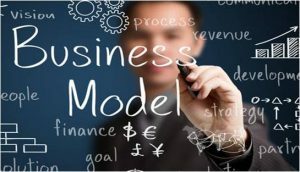 Today, it is more challenging to run our organization profitably. One of the reasons is increasing percentage of non-wearable textiles in our containers. Local governments are encouraging people to turn in as much textile as possible, increasing the influx of bed sheets, towels and other household textile waste. At the same, the quality of the clothes were receiving has gotten lower, probably due to the crisis. The quality of new clothes seems to have decreased and people seem to wear their clothes longer. In the end it means that we can make less money from the clothes and need more money for the recycling of non-wearable textile waste. This is forcing us to really search for new business models and opportunities for the non-wearable textile waste. A lot of textile waste is actually recycled into fillers for the automotive industry, cleaning cloths or acoustic materials. What’s still missing is a way to recycle textile waste into high quality fibers that can be used in higher level applications such as fashion and upholstery. That’s why we’re investing and partnering with entrepreneurs trying to create such solutions. We want to make sure there are viable business models to share with the fashion industry, as they are crucial to make such initiatives scale and to set new norms in the industry. But first, they will need to be reassured that it is possible to create such upcycled textiles and that they look great. 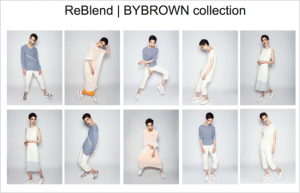 That’s why we’re really happy to support ReBlend, a company creating new yarns out of textile waste and PET. They just launched their pilot fashion collection, which really looks great! As a non-profit organization our communications budget is very limited, so we need iconic projects to help spread the word through social media and press coverage. If only the textile industry would invest as much in recycling as the packaging industry has in plastic recycling. In this aspect, the Plastic Heroes campaign is really one of my favorites. It has inspired so many people to separate the plastic from their household waste, enabling recycling at a much larger scale. The first year of the campaign generated eight times as much recycled plastic. The textile industry is very traditional. It’s stuck in a deadlock where none of the large manufacturers dare to be brave and really create change. They all have sustainable initiatives and commitments, but a real transformation of the industry still seems far off. Yet, I remain optimistic. In the coming years, Marc will continue to evolve the business model of Sympany and textile recycling. And to make textile-related projects happen in Africa and India. His current favorite is a project in India that weaves fabrics from recycled yarn. What started as a small local initiative, will hopefully scale up to a full factory in India, offering a living wage and a save working environment for its employees. And a great story that feels better to wear for the people who ultimately wear the clothes. 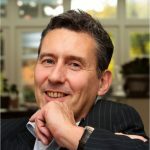 For more information about Marc and Sympany, please check out his LinkedIn profile, the Sympany website (in Dutch) or follow Sympany on Twitter and Facebook.